We’re fighting for net neutrality, again, because it is crucial to the future of the internet. Net neutrality serves to enable free speech, competition, innovation and user choice online. On July 12, it was great to see such a diversity of voices speak up and join together to support a neutral internet. We need to protect the internet as a shared global public resource for us all. This Day of Action makes it clear, yet again, that net neutrality it a mainstream issue, which the majority of Americans (76% from our recent survey) care about and support. The Day of Action was timed a few days before the first deadline for comments to the FCC on the proposed rollback of existing net neutrality protections. This is just the first step though. 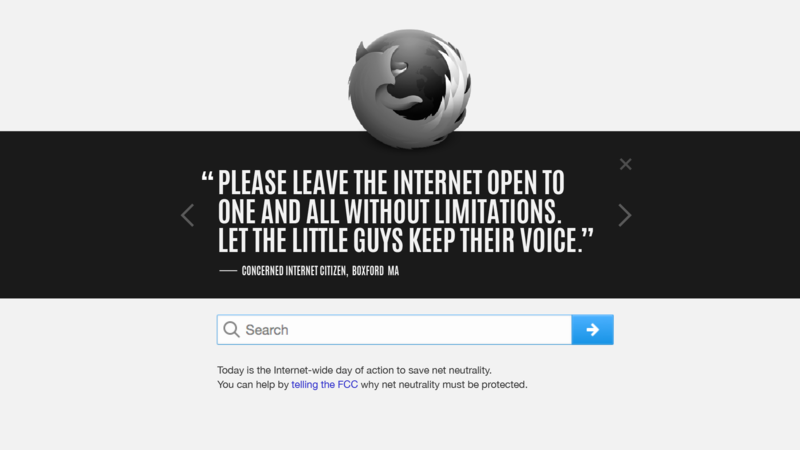 Mozilla takes action to protect net neutrality every day, because it’s obviously not a one day battle. 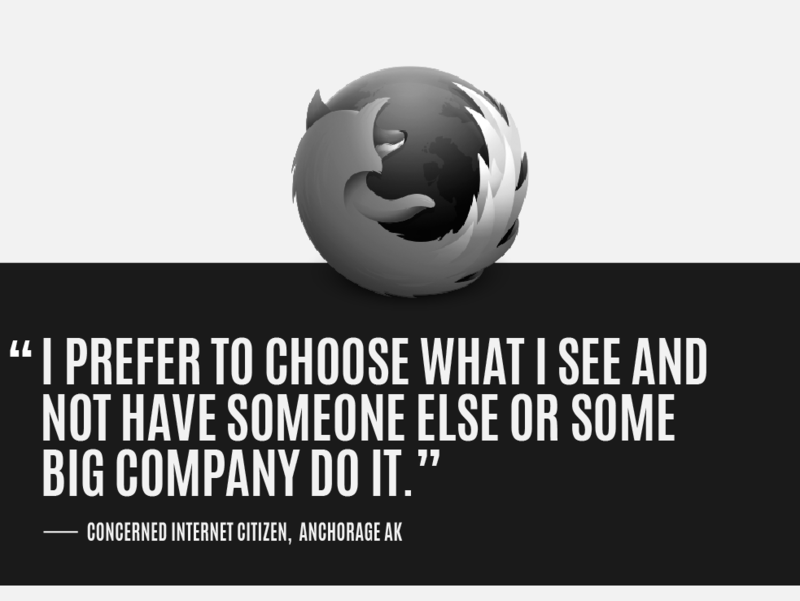 Net neutrality is not the sole responsibility any one company, individual or political party. We need to join together because the fight for net neutrality impacts the future of the internet and everyone who uses it. Right now, we’re finishing our FCC comments to submit on July 17. Next, we’ll continue to advocate for enforceable net neutrality through all FCC deadlines and we’ll defend the open internet, just like we did with our comments and efforts to protect net neutrality in 2010 and 2014.